Sikkim Manipal University, One of the top university in India offer various courses in Management including MBA & BBA. In our today's post we're gonna write about various courses offered by the university for students seeking admission into graduate & post graduate admission courses. 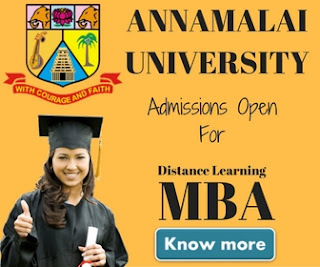 The university offer 3 years BBA degree program through distance learning mode. There are total 6 semester in the course & student have to complete the course in minimum 3 years & maximum of 6 years time frame. to be eligible for the course the candidate must be 10+2 or equivalent / 3 year Diploma from a State Board of Technical. The total fee for the program is Rs.12,150/- (inclusive of Exam Fee Rs.1500/- & Alumni Fee Rs. 200/-) Or a one time payment of Rs 63,795. These are the specialized programs in different area's of management. The programs has been specialilly designed for candidates who either completed a post graduate programme in general management, or may wish to specialize further, following completion of an MBA. To be eligible for the programme, the candidate must have an MBA degree from a recognized University, or an equivalent of a two-year Post Graduate Diploma in Business Management from an AICTE approved institution. The duration of the program is 1 year & per semester fee is Rs.12,750/- (inclusive of Exam Fee Rs.1300/- & Alumni Fee Rs. 100/-). Some of the specializations are Marketing Management, Retail Operations, Information systems Management, Operations Management, Banking Management, Project Management, Total Quality Management, Human Resource Management, Healthcare services Management, Finance Management. The PGDBA Programme aims to improve the students' capability to manage in a business environment. To be eligibile for the program the candidate must have a 3 years graduation degree from a recognized university. The fees are Rs.13,800/- per semester (inclusive of Exam Fee Rs.1500/- & Alumni Fee Rs. 200/-). 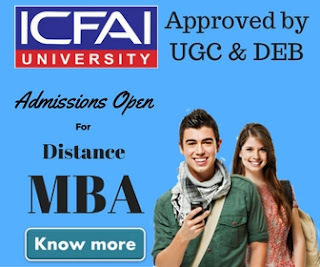 Catering to the huge demand for business management, distance learning courses in MBA are the best option for working professionals and students starting afresh. SMU offer MBA program to students who meets the following criteria. The candidate must have cleared an Admission test called the SMUDE Management Aptitude Test (SMAT). 3. A Candidate has a score card of National/ International MBA Entrance Test* and his/her score is 45 percentile or above. However, the score card should not be more than one year old at the time of admission at SMU. The per semester fee of the program is Rs.14,200/- (inclusive of Exam Fee Rs.1500/- & Alumni Fee Rs. 200/-) and if candidate make a full payment the one time fee is Rs 49,600 instead of Rs 57,100. SMU-DE offers 15 specializations for its MBA students. The specializations are taken up by the students in the second year of their MBA. The program is aimed at providing the students complete flexibility in pursuing further education without compromising on quality. An Apple iPad2 (provided along with the study material) will give 24X7 access to the study material on the go. Candidate are required to clear Entrance Test (SMAT- SMUDE Management Aptitude Test) for admission to MBA program. All eligible candidates are required to take the SMAT and secure a minimum forty percent mark for admission to the MBA program. It is hereby further notified that candidates who have already thus qualified through similar Entrance examination conducted by any other competent body or through other exemption criteria in this behalf may apply for admission directly. The total fee for the program is Rs 63,900, that can be paid in installments. Candidate can also make payment in one go to get discount Thus, the total fees payable by the student would be Rs 55,440 instead of Rs 63,900. As the name suggest the program is specially designed for people wants to established their career in the field of banking & finance. We've already published a detailed post on SMU MBA Banking & Finance. You may refer the post for more details. We strongly recommend our reders to verify the information given here from SMU DE official website www.smude.edu.in, as the information given here is just a summery. Complete information is given on university official website.